Whether you in the market for an updated look to your home, or just like gathering some visual decor inspiration, DECOREX SOUTH AFRICA – Johannesburg 2017, was the place to be. With an array of incredible decor styles and trends for 2017, I practically fell in love with all the ideas I came across. Last week, I had been tagged onto a Facebook Post, with La-Z-Boy South Africa, by my sweet friend Shaheeda. The giveaway was for 2 tickets to the decorex show in Johannesburg. And since Shaheeda lives all the way in Phalaborwa, she answered the giveaway with my details, mentioning she knew I loved attending such shows. She couldn’t know me better… SHUKRAN GIRLFRIEND ?. So guess who won 2 tickets because of this selfless gesture by Shaheeda??? YIP..it was me?. Thrilled That I had won, I sadly did however, have to, refuse acceptance of the tickets, on the grounds that I could not make the specified days as per giveaway terms and conditions. I asked for the tickets to be passed on to the next winner. So this weekend, on Sunday 13th August 2017, My better half and I made our way to the Decorex Show like we do every year. Yep, we love gathering inspiration from all the exhibits. If you haven’t attended decorex before, I highly recommend that you do in future. Apart from just inspiration, There are some exhibitors that have amazing show price sales of products, and Like I did a few years back, managed to bag the latest in Induction hob and oven technology, at an amazingly low price. I try getting a little something every year, only IF I’m in the market for a particular decor piece or home appliance. Ticket pricing this year was R120 Per Adult. The Gallagher Estate is always a fantastic venue for such a show, with different halls and spaciousness, makes for ease of movement and enjoyment, and handles large crowds wonderfully. Well Done to the team at DECOREX SA for putting on an amazing exhibition year after year, And this year too, we thoroughly enjoyed it. On this Blog post, Allow me to share some of the trends that I have loved at the show, and I can’t wait to implement some of the ideas. Please do Forgive me, As I do not know all the names of Exhibitors my pictures belong to, And I take no claim to the featured designs/decor. This Post is merely to highlight some of the ideas that may bring you, my readers, some inspiration. SIT BACK AND ENJOY THIS VISUAL TREAT, THAT TOOK THE SOUTH AFRICAN DECOR and DESIGN SCENE, TO ANOTHER LEVEL OF INCREDIBLE. DINING AREA- One of the 1st things I noticed at the Show, was this Trendy idea of mix-matching a variety of chairs around a Large Dining table. It actually looks Good, and makes a lot more sense if you plan on using your dining area for most of your meals. Here we see High backed Chairs in with deep set buttons in a neutral colour, there is also 2 leather, low backed chairs and a large wooden bench along one side. LOVE IT!! Can you see such a design idea incorporated in your home? LIGHTING IDEAS – Look out for Chandeliers, Hanging abstract lamps and art deco types of lamps. These are some of latest trends that can light up your home and transform your overall look in a particular room, or even your outdoor entertainment space. TEXTURED FURNITURE – Try adding a little more texture to your deco pieces at home. Handmade furniture like this one featured, make for a great talking point. Adding in textures that you can feel when you run your hands along it’s surface, could give your room a more rustic overall look. LOVE THIS PIECE. BEDROOM DECO IDEAS – The latest trends with bedrooms, is adding many layers, be it on your bed, or even on the walls. These are just a couple of ideas that I LOVE. In the 1st pic, The new trend of highlighting a specific wall in the bedroom, is best done with the wall on which your headboard would sit. Here we see a Wall-Papered background, with a little bit of play on design. This wall is then further highlighted with a framing that should be wider and higher than your headboard. Remember to add a Headboard that is made with plain fabric. For bed linen and cushions, You make use of colours that is drawn from the wall paper, headboard or even if you have artwork in the room, to complete this rooms’ overall layered look. STUNNING!!! In the 2nd Pic, this was once again at the MrP Home Exhibit (who were actually one of the winners among the best exhibits for 2017? ), We see many of pinks and grey coming through in their decor. I think I’d LOVE to have this type of set up in a bedroom someday, How awesome is this Suspended Bed?? ?..I’ll be floating away to lala-land with ease?. Can you envision these decor styles in your home?? In this 3rd bedroom idea above, Kids room need not be boring either. This little girls room deco, incorporates a playful vibe, together with the subtle play of being outdoors. Fairy lights, a netted Teepee canopy, that can double as a space to play in or relax when she needs to read, And added decor in the form of design stickers of wordings and stars for walls, brings it all together. PRECIOUS?. KITCHEN IDEA – There were so many wonderful inspiring ideas that I took away from the decor show, and this one featured is one my my favourites. The latest trends in kitchens, focusses more on minimalistic living. That’s less cupboard space, and more open storage spaces. There is even a move away from making use of any cupboard handles, for a more aesthetically appealing overall appearance to a modern kitchen. This exhibt looks amazing, The Black finishes, with the little added bling, and the greenery brought indoors, took this kitchen look, way into future modern kitchens. Apart from the less cupboard space, these are Some Ideas I know I will LOVE using in my own kitchen, when I do another make-over? The picture below is to inspire you to bring in some of your larger leafed plant varieties, to liven up your indoor spaces. This idea looked FABULOUS, and gave the kitchen an almost tropical feel if you are seated at the kitchen island. Just 3 Single stemmed, Large Leafed Plant (sorry I don’t know this plant name), placed into water, in 3 cylindrical vases. BEAUTIFUL!!! WINDOWS FRAMED – Like your one highlighted wall, or accent wall idea… How about also making a Particular Window a highlighted spot in your home? I LOVE this, would be amazing looking out to a wonderful view, or maybe your garden, from behind this “Deep-Set Buttoned Framework”. INGENIOUS IDEA. HANGING GARDENS – we are being treated with more and more ideas, to easily implement a garden into small/restrictive spaces. This hanging garden idea works perfectly if you are living on the 1st or 2nd level flats, or even with a small atrium space that you may have. The options to make these hanging gardens was seen in a few of the exhibits. THIS I WOULD LOVE??. SO… whether you like clean, neat lines in your home decor, or like below, an eclectic mix match of colours, designs and textures… I DO HOPE YOU HAVE ENJOYED SOME OF THESE INSPIRATIONS, THROUGH MY LENSES. THANKS TO DECOREX SA FOR BRING FORWARD ALL THIS DECOR/LIFESTLYE INSPIRATIONS, UNDER ONE ROOF. I KNOW THERE ARE A FEW IDEAS I WANT TO IMPLEMENT, HOW ABOUT YOU??? WHICH OF THE ABOVE FEATURED IDEAS DO YOU THINK YOU WOULD LIKE TO TRY?, LOOK FORWARD TO HEARING FROM YOU. DISCLAIMER…This is NOT A SPONSORED POST, ALL VIEWS are my own. Why would you want to be like everyone else, when you were born to be YOU, To BE DIFFERENT. DON’T BE AFRAID TO BE DIFFERENT. IT’S your own UNIQUENESS that the WORLD needs more of. IF YOU WANT TO INFLUENCE THE WORLD, YOU HAVE TO BE STOP BEING JUST LIKE IT. It’s all about how YOU see the bigger picture of Life, Life isn’t meant to be Picture perfect, Sometimes the ‘Thorns’ make for a beautiful end result, we just have to bear with it, until the unpleasantness of the sting passes us by. When Life Throws You Thorns…Just Click a Pic and Move On Ahead. 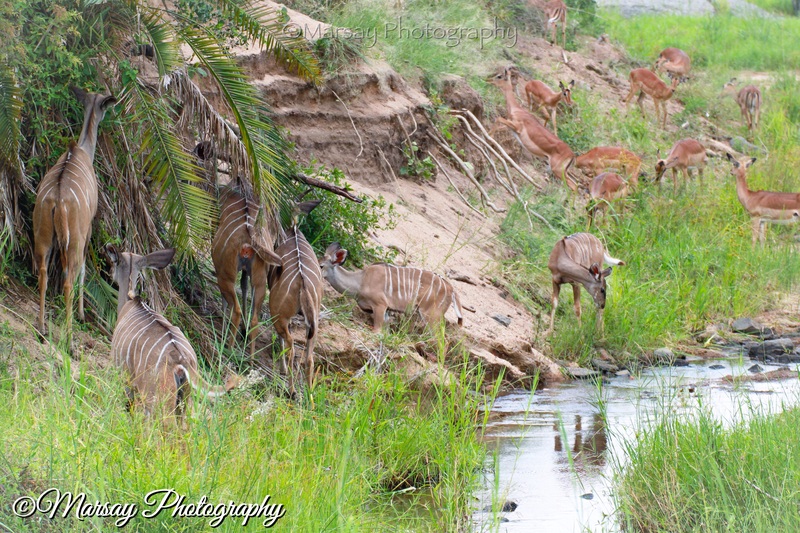 The above Picture was photographed in the South section of the Kruger National Park, 2015. A thorny Acacia Bush silhouetted against the rising sun on a frosty, late winters, morning. My dearest friends and followers on this Blog, I do know it has been a while since I last posted, but circumstance were such, that Blogging had been the furthest from my thoughts. My heart and Thoughts were, and still is with my Late Mummy:'(. She had passed away a few days after my last blog post, as I begin to attempt healing myself, please allow me to dedicate this post to my Mummy?. Do forgive any of my spelling/grammatical errors, as I type this out with Tears already welling up in my eyes?. Just as Allah/God calls back the sun at the end of the day, magnificiently colouring the sky and World with it’s final warmth of outstreched rays, So did YOU, dear Mummy, leave Us to return to Your Creator. After more than 20 years of graciously fighting your illness, Allah saw you getting tired and called you back to Him. You have filled our lives, and all those that have come to know you, with so much Love, Care and Laughter, gently adding colour to our days and years. As you grew old, and sickness over took your body, you still had such a positive energy about you, your smile is forever etched in my memory. As years went by and being dependent upon medication to help ease your illness, Your Simple, Down-To-Earth demeanor, forever in Worship of your Creator, never complaining about your situation, prove What a Brave Soldier/Woman You were in all our eyes, and I pray Allah saw it that way too. “Go safe my Child, just Don’t forget ME”, and gave me one of your tight hugs, amidst your shaky hands, and a kiss. I cried like a baby, seemed like I was leaving Home all over again, like I did 15 years ago when I married, BUT little did I know that this was Your Final Farewell to ME. Ooooh how I MISS YOU DEAREST MUMMY, how I long to hear your voice in the other end of the Telephone calls, I so looked forward to. In Life I loved You oh so Dearly, In Death I LOVE YOU still. It Broke my Heart to Lose YOU, but you didn’t go Alone, a part of ME and the rest of our Family,went along with YOU, the Day Allah Called You Back To Him.??? I Can’t Thank Allah enough, for the Mummy He gave me, you may not have been Perfect in the Eyes of the World, But YOU were perfect for ME. I Thank You oh dear Mummy, for being my 1st teacher, for teaching me everything I know today, for instilling integrity and bringing me up on the straight path, for teaching me about sharing and humanity, for being my courage when courage is what I lacked, for being there just to listen without being Judgemental and for travelling along with Me, even though it were through my Pictures. You were the rose( YOUR FAV ), in all our lives, spreading your sweet fragrance as Lifes’ Waves ebbed on and On and On!!! You will forever be loved and missed, a beautiful soul such as yours is what is needed more off in this World. I LOVE YOU MUMMY?? Ya Rabb, THANK YOU for giving me Just the kind of Mother You knew I needed! And as she returns back to YOU, Oh Allah, please Grant my Mummy, Rashida Essa, ease from the Punishment of the Qabr(grave), Fill her Qabr with Noor(light) and Grant her the best and Highest stages in Jannah AMEEN!!!! Grant me and the rest of my family, especially my Abba(dad) the strength to overcome this trying phase in our life, ameen. This morning I have decided, a spur of the moment thing, that I would post on Thursdays here from out, a moment in time or a Throw Back to a special moment I have had the pleasure of experiencing. So allow me to take you on a journey with me….through my lenses?.